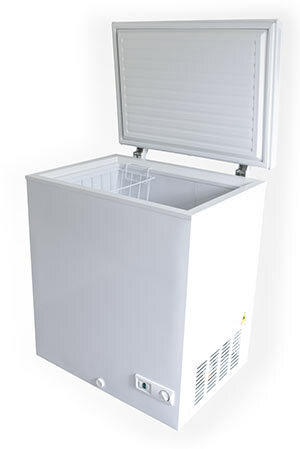 However, once you actually pay for your freezer repair service, you will be charged for the same as what we paid for your freezer parts in Evanston IL instead of an estimated value. As with every freezer repair in Evanston IL we perform, the diagnosis and service call are both free so long as you hire us for at least one repair job. If you have not used us before, don't forget to use our $10-off coupon to make your repair just a little more affordable. Once we hear from you, we will make an appointment with one of our Evanston IL repair techs to diagnose your freezer issues. From there, you can decide how you really want to handle the issue after you know what it would cost you to proceed if you chose us. Further, you can also check what other Evanston freezer repair companies would charge to fix the same issue before giving a final answer. Is your freezer working as it should? If so, the thermostat would read as close to zero degrees Fahrenheit as possible. Supposing your freezer does not include a thermostat, you can place a thermometer inside to get almost as accurate of a reading. If the freezer is above or below the ideal temperature, adjust it until the thermostat (or thermometer) gives the appropriate result. If the temperatures are quite a bit apart and adjusting the controls does not help -- get an appliance repair professional to come take a look!